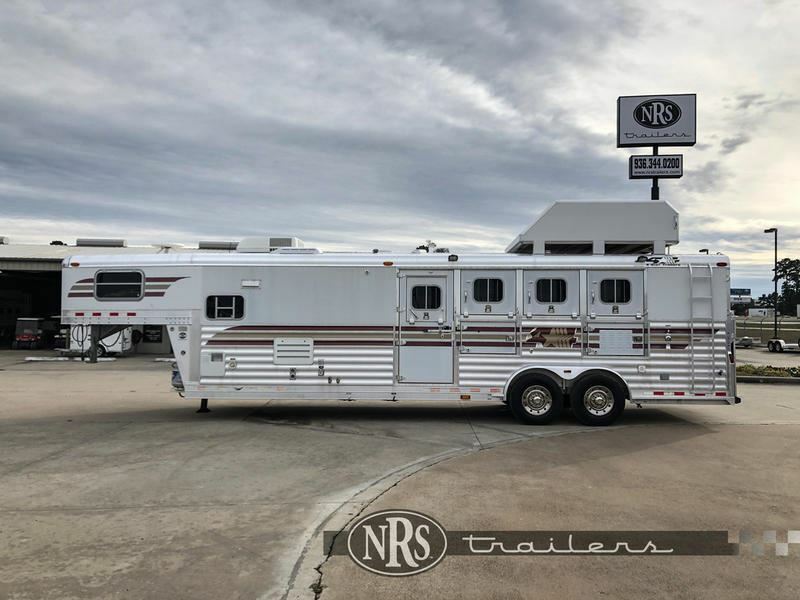 Since 1984, 4-Star has been the respected leader in manufacturing the most sophisticated and technologically advanced custom-built horse trailers in the world. 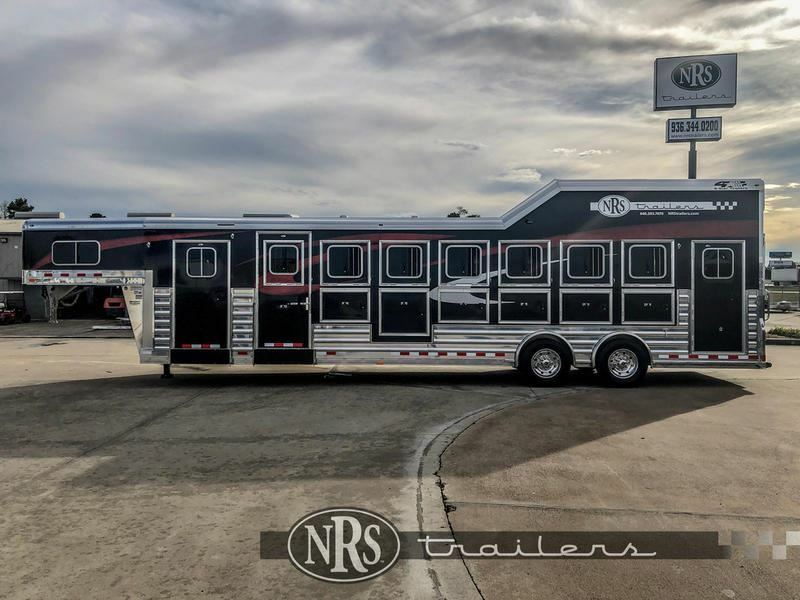 Like their new "Quiet Ride" trailer. 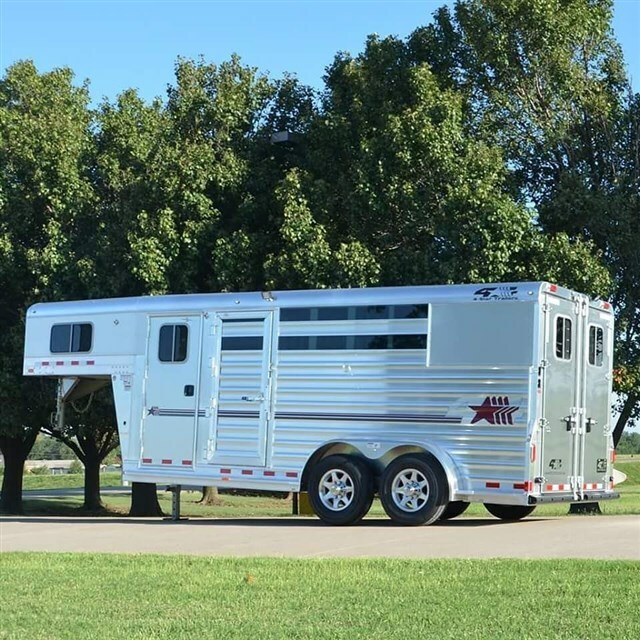 Located in Oklahoma City, Oklahoma 4-Star has established the all-aluminum trailer as the industry standard for ease of maintenance and overall superiority. 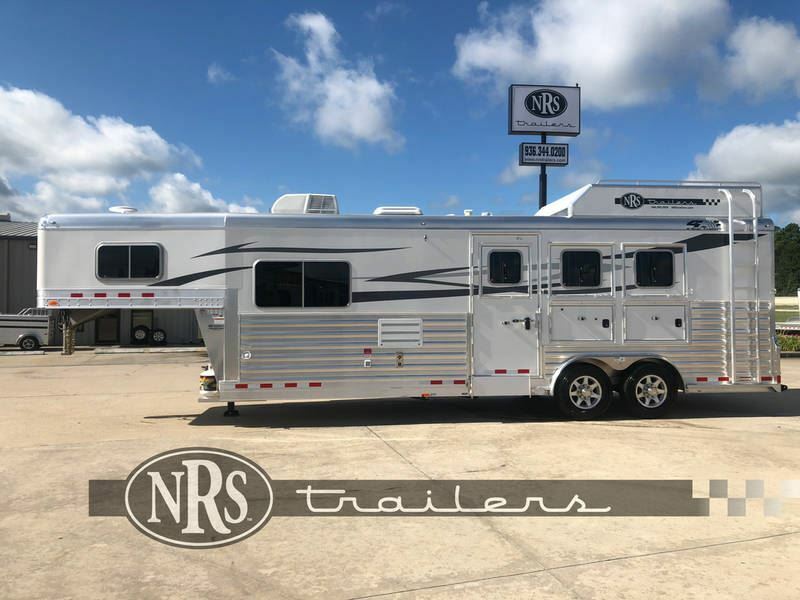 4-Star Trailers is a proud, certified member of the National Association of Trailer Manufacturers. 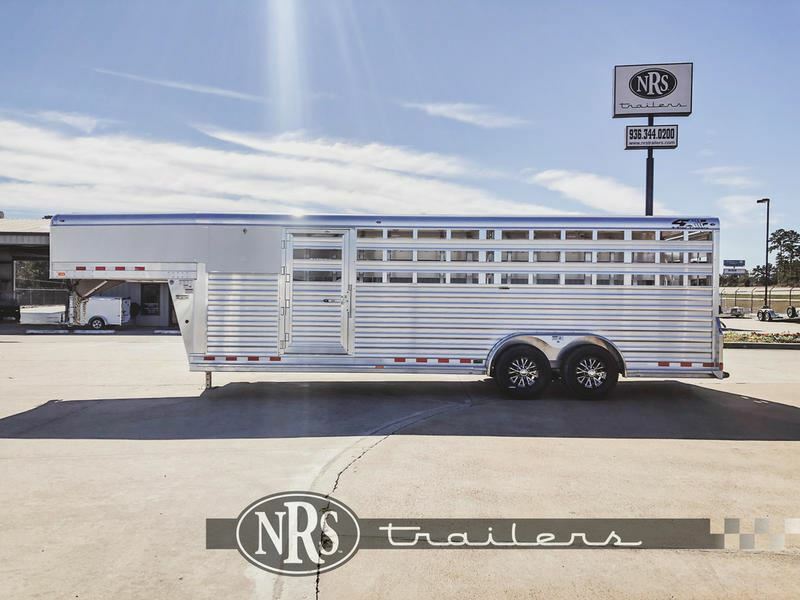 4-Star offers Gooseneck and Bumper Pull Trailer Models in the following categories: Horse, Stock/Combo, Stock, Polo, and Cargo/Car Hauler. 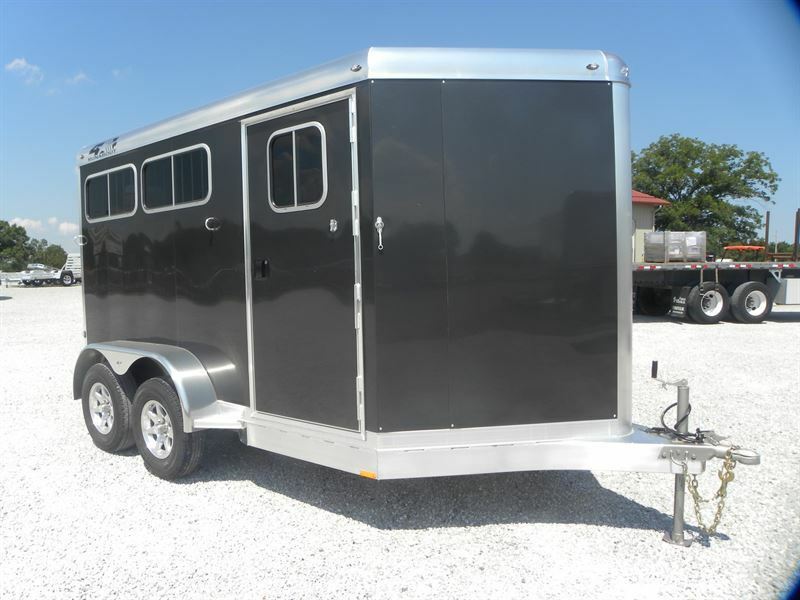 Trailer models are offered in three base model platforms: Deluxe, G Model, and Runabout. 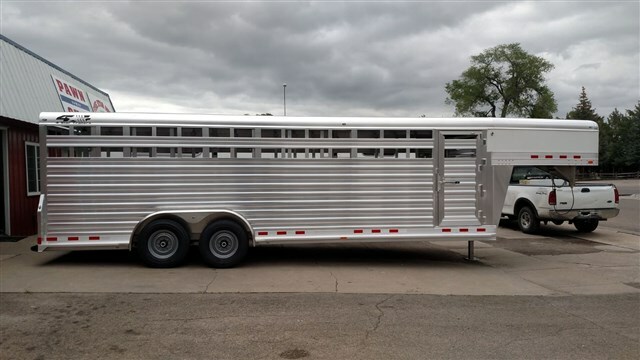 Each is briefly described below. 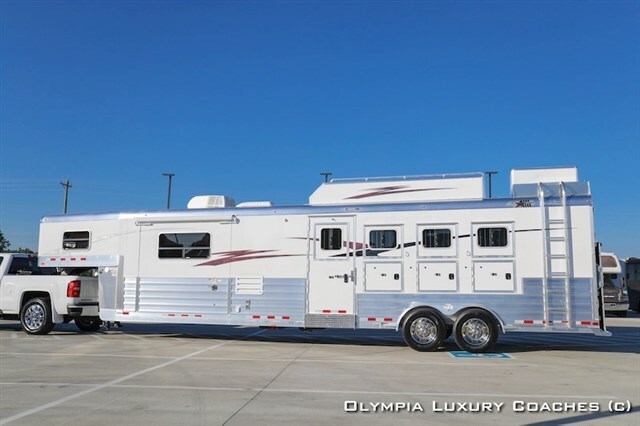 Deluxe Models These are our top of the line models. 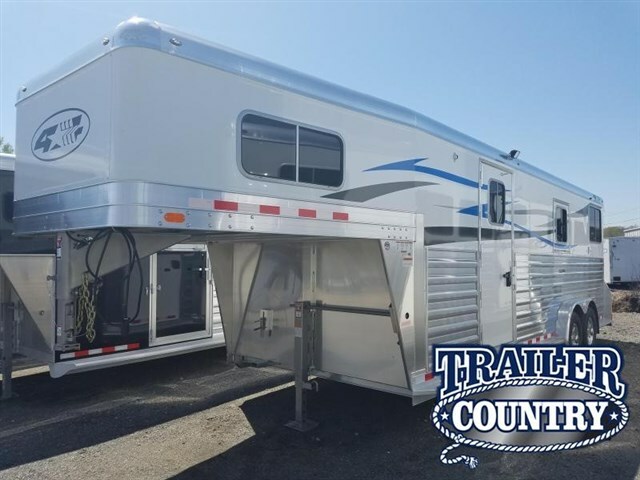 Generously equipped with all the most commonly desired features, they represent the pinnacle of 4-Star quality and innovation. 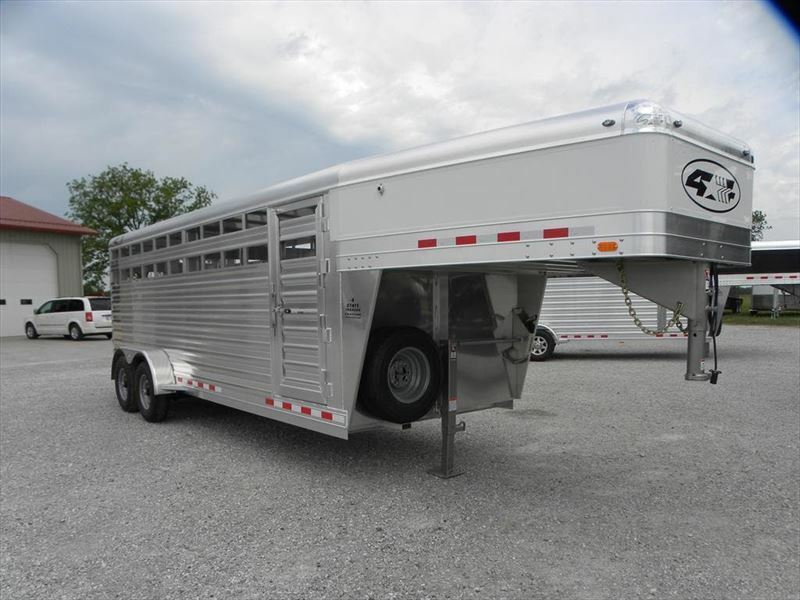 Trailers built on the Deluxe platform are designed to be extremely customizable. 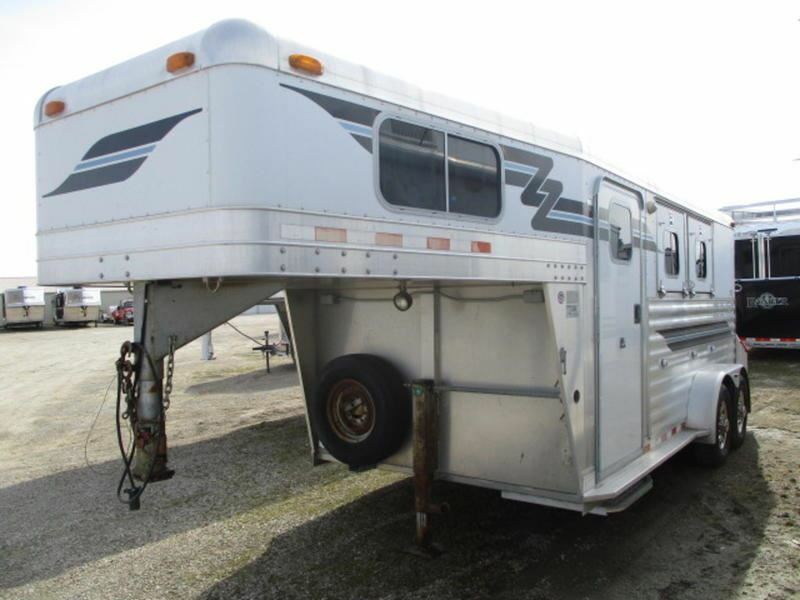 Length, Width, and Height may be added to or subtracted from the base models. 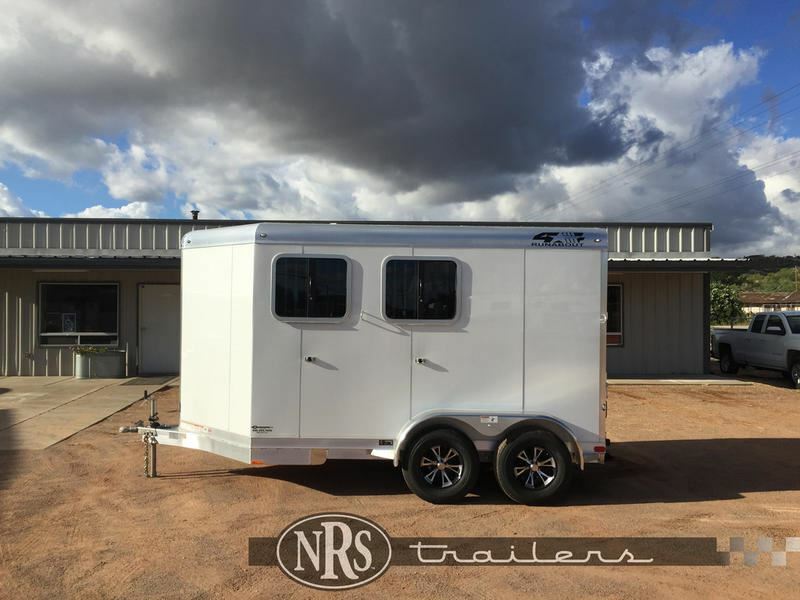 Individual stall sizes may be specified. 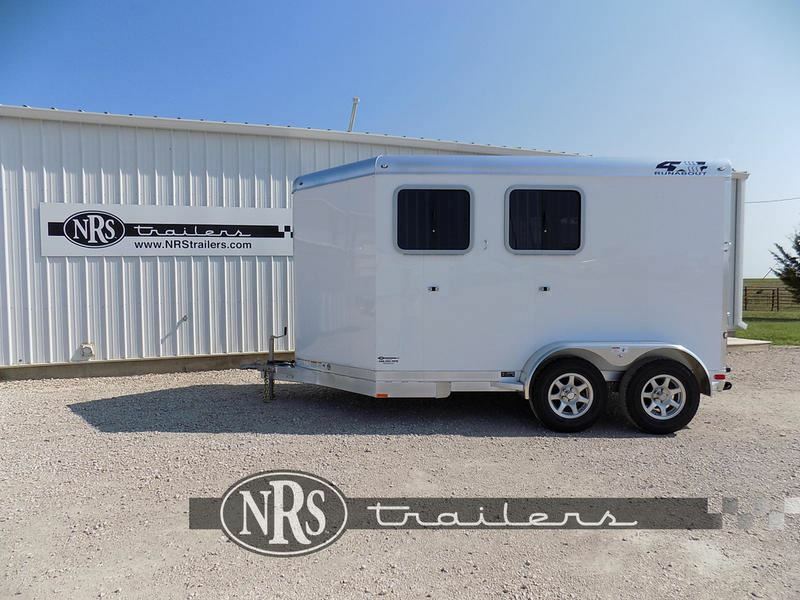 Our entire catalog of options is available for inclusion in these trailers. 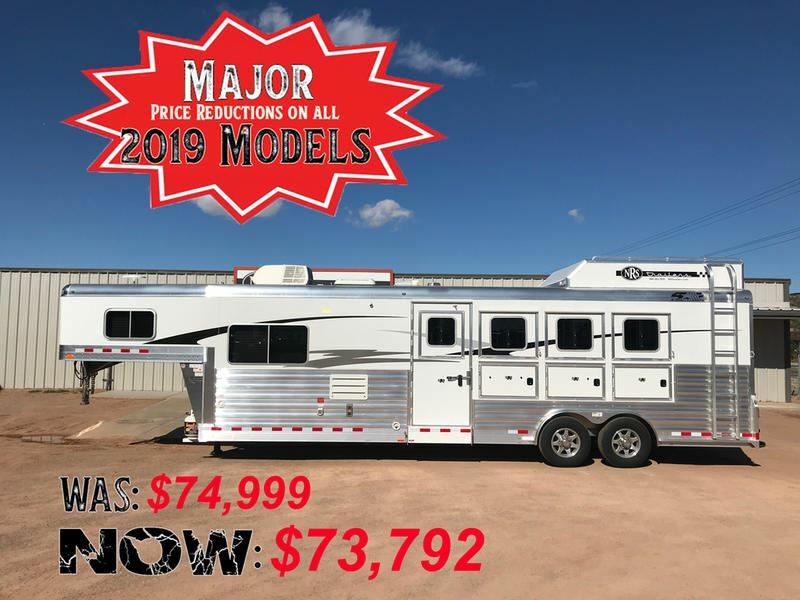 If you don’t see an example of what you require in the pages of our website or on your dealer’s lot, please ask for it. 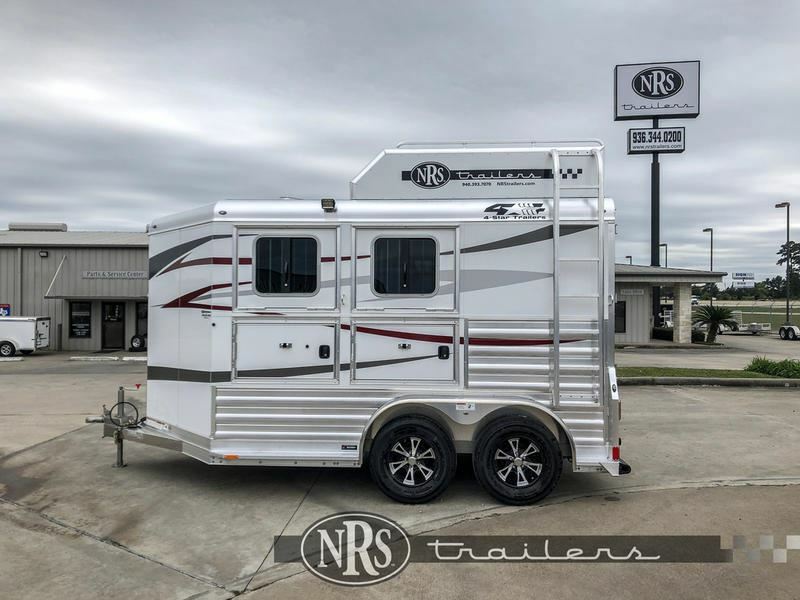 We are always open to new ideas. 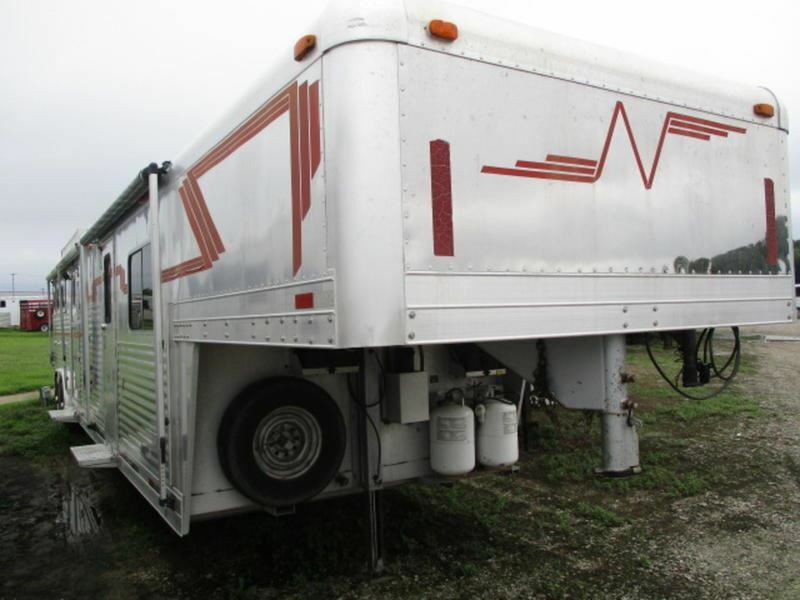 If you have a unique transportation problem, we can engineer a unique solution for it based on this versatile platform. 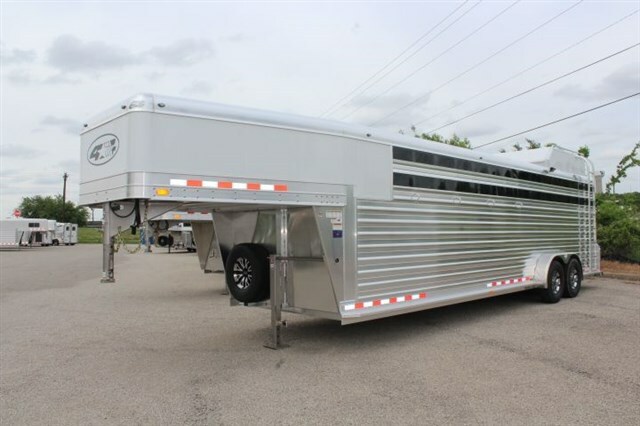 G Models The ‘G’ platform is based on a fixed width of 6’-7” and limited to 7000-pound axles maximum. 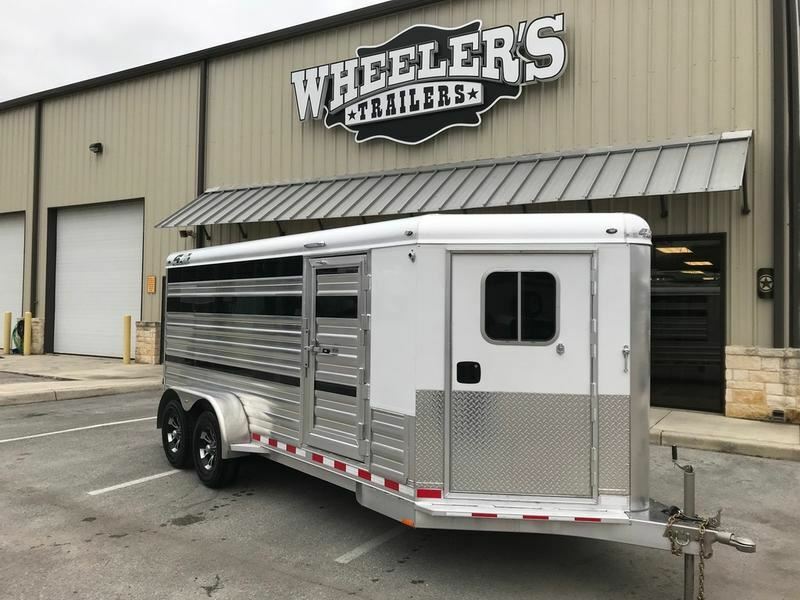 Generally speaking, trailers based on this platform are more economical to produce as the width allows for a simplified design in the fender area. 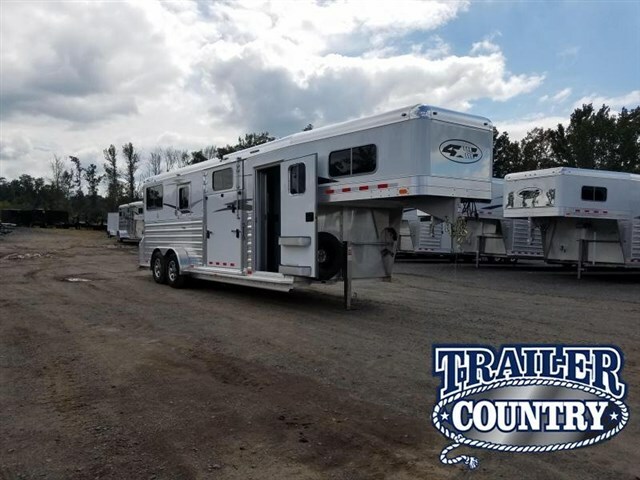 As with the Deluxe models, these are equipped with everything the average rider requires and is road ready when it leaves the factory. 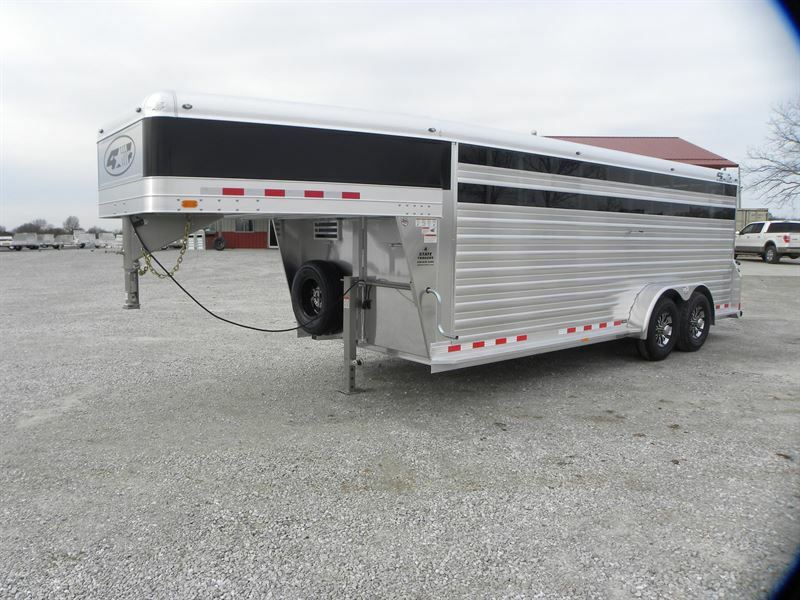 Trailers based on this platform include GH, GC, and GS models which are respectively, Horse, Stock Combo, and Stock trailers. 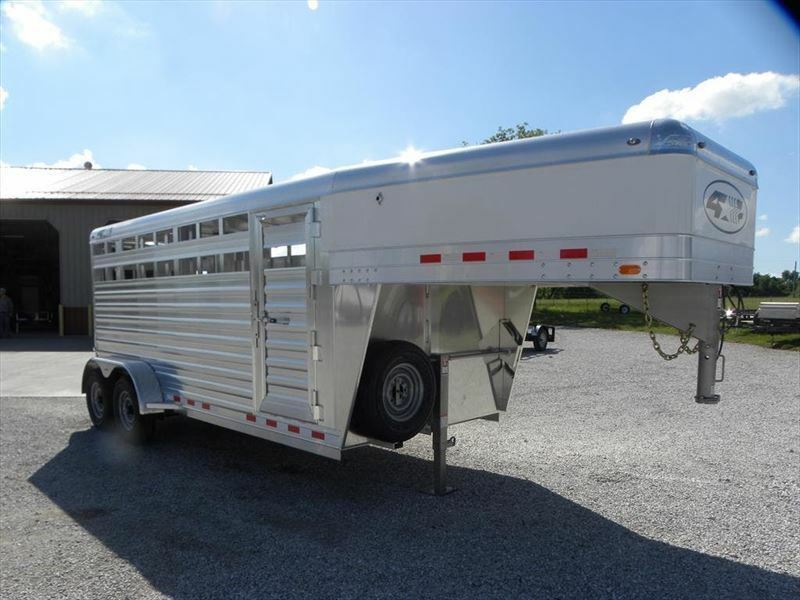 Many options, including changes to length and height, are available to customize these trailers to your preference. 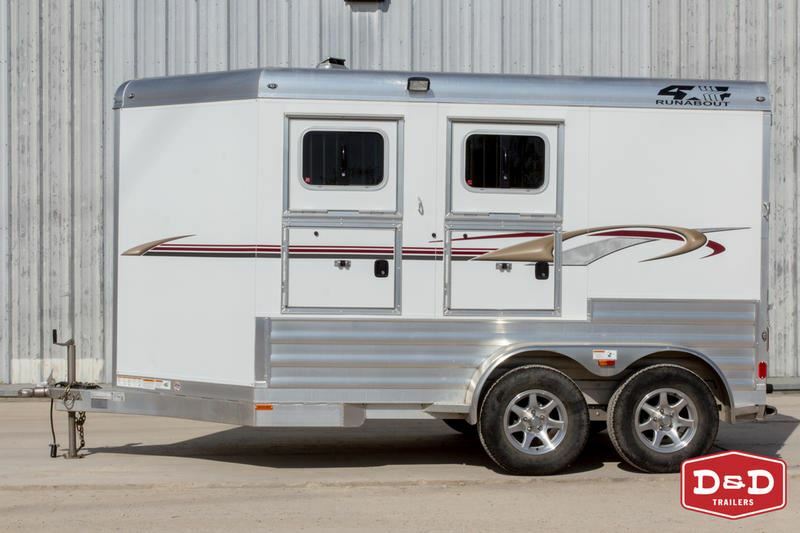 The G models are built using many of the same components as the Deluxe models. 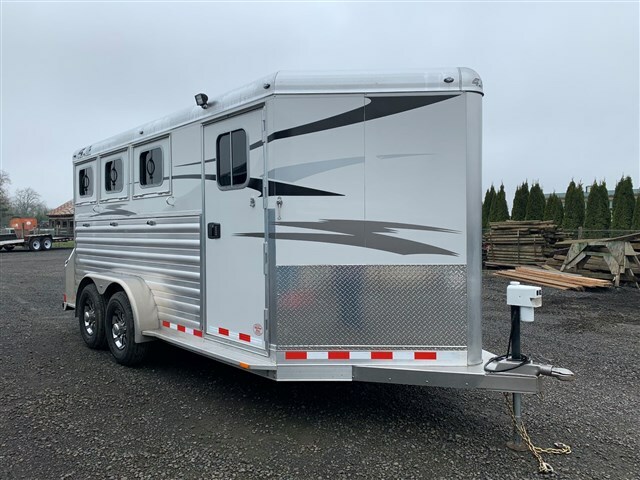 Runabout Models The Runabout platform was conceived as a ground-up design for an entry-level bumper pull trailer whose goal was to provide our customers a world-class trailer which is durable and safe, yet several hundred pounds lighter than other similarly sized trailers. 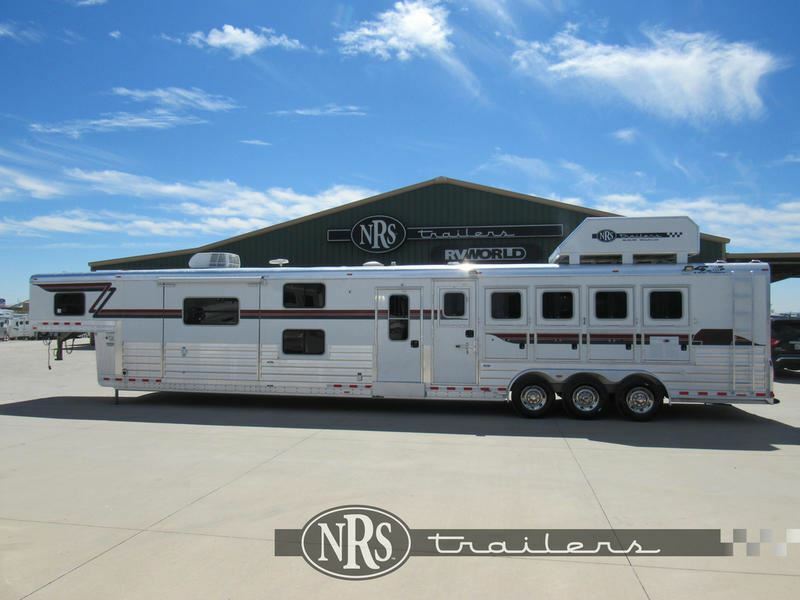 The Runabouts are limited to a maximum width of 6’-10” and 7000-pound axles. 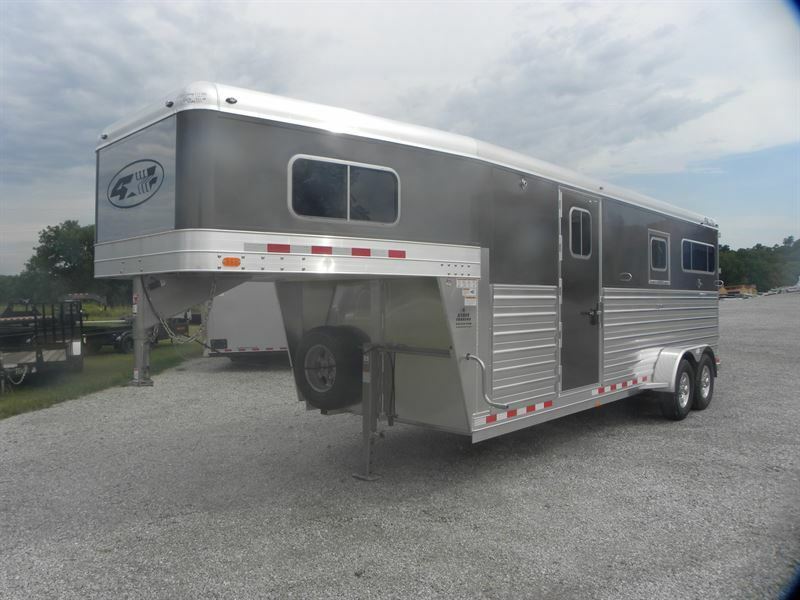 All models based on this platform are generously equipped with the features you need most. 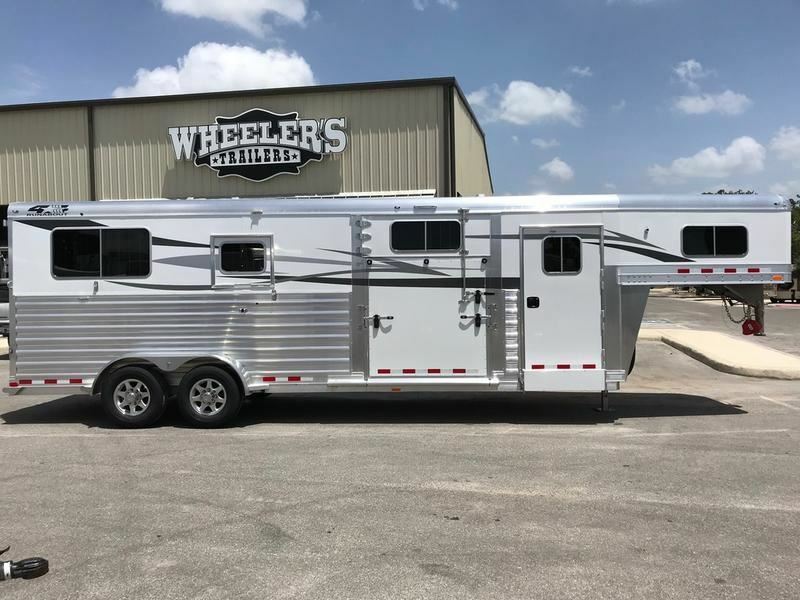 For those with special requirements, many of the options available on our Deluxe models may be specified should you choose to customize. 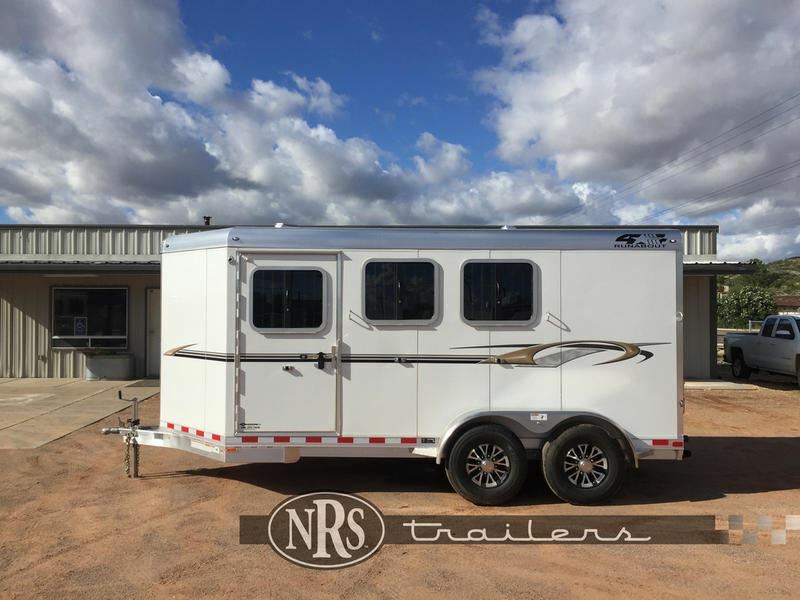 Trailers based upon the Runabout platform are solid performers for those who wish to experience 4-Star quality in an economical design which lives up to what we've been saying for 3 decades: "Simply The Best Value." 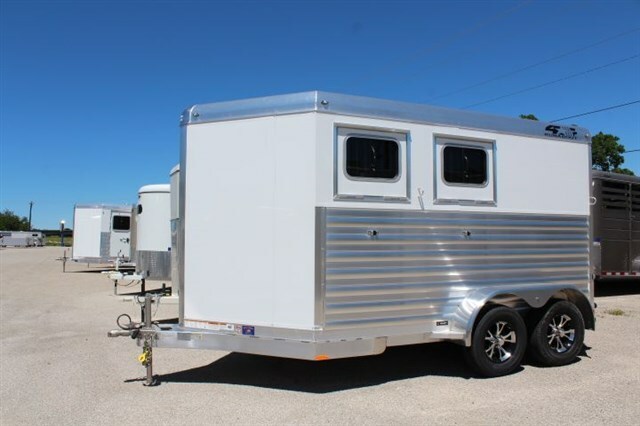 All trailers not explicitly designated as GH, GC, GS, or Runabout are built on the Deluxe platform. 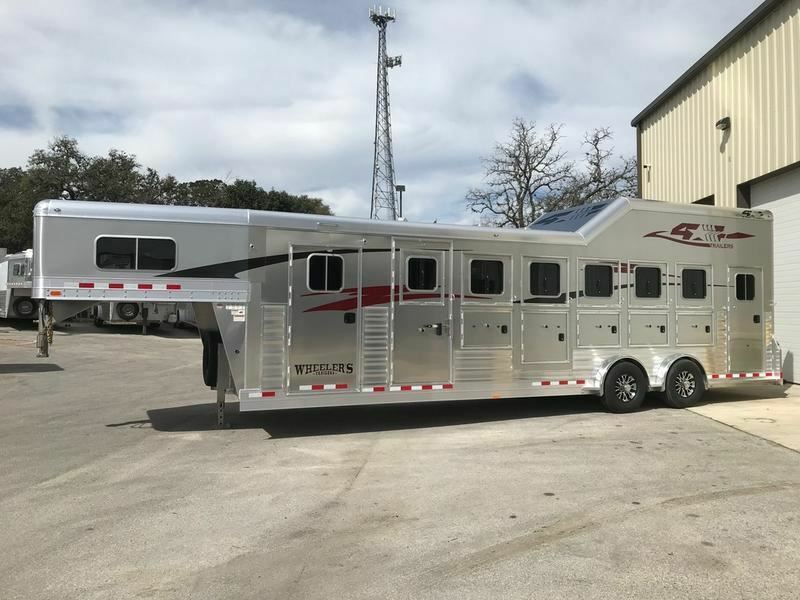 2020 2 + 1 horse 4 Star 2020 4 STAR DELUXE 2+1 8' TALL W/ MANY UPGRADES! 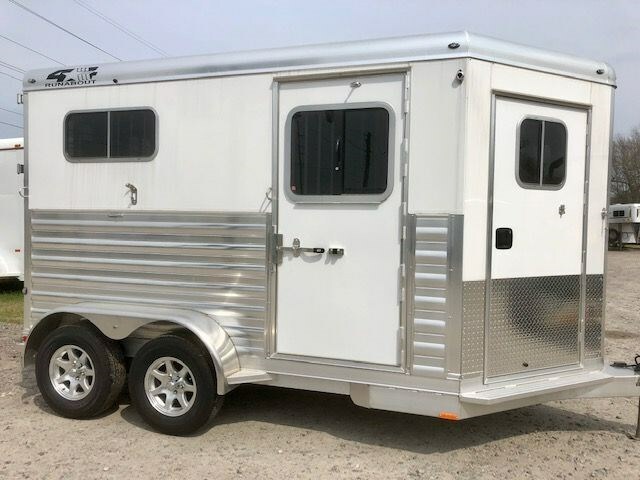 2020 7 horse 4 Star Trainer/Side Tack, haypod, larger dress, loaded! 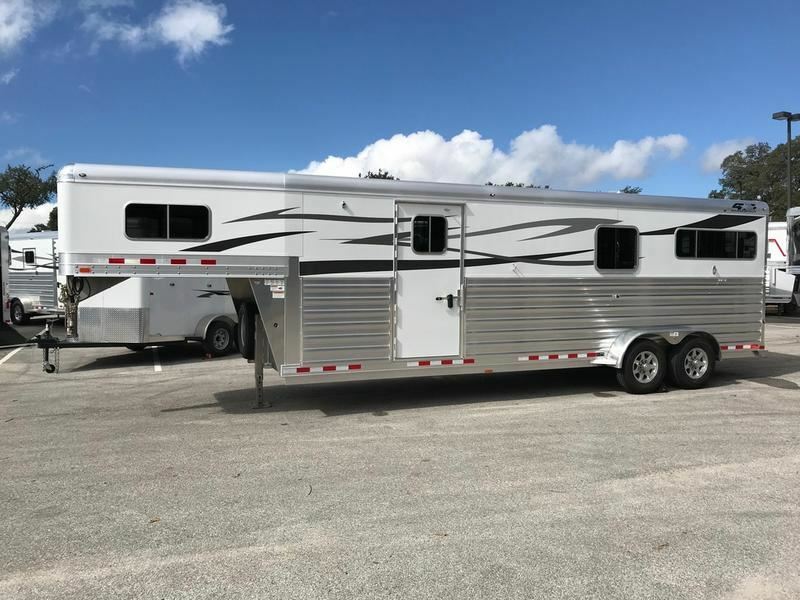 2020 4 horse 4 Star Larger warmblood stalls, Quiet Ride Loaded! 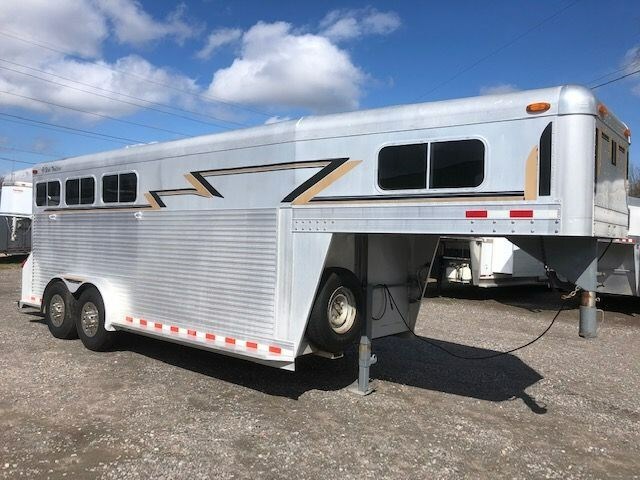 2020 6 horse 4 Star 6/7 Larger warmblood stalls, side ramps, LOADED! 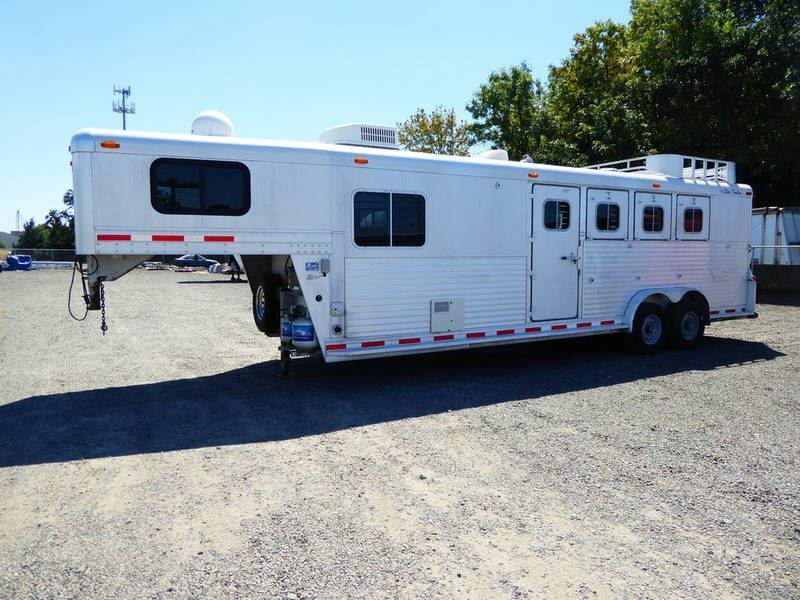 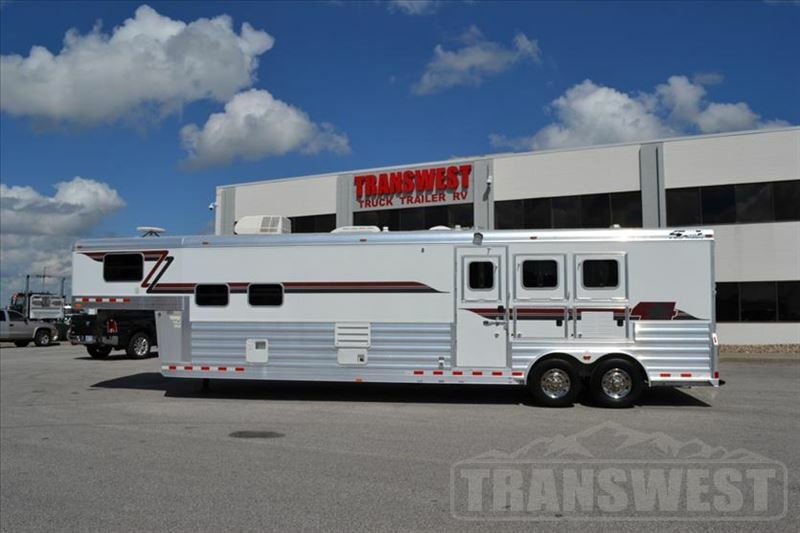 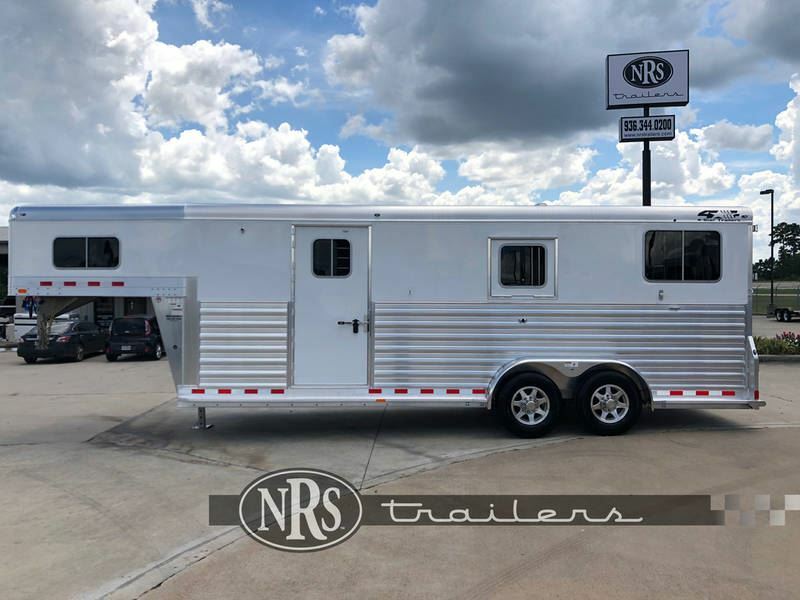 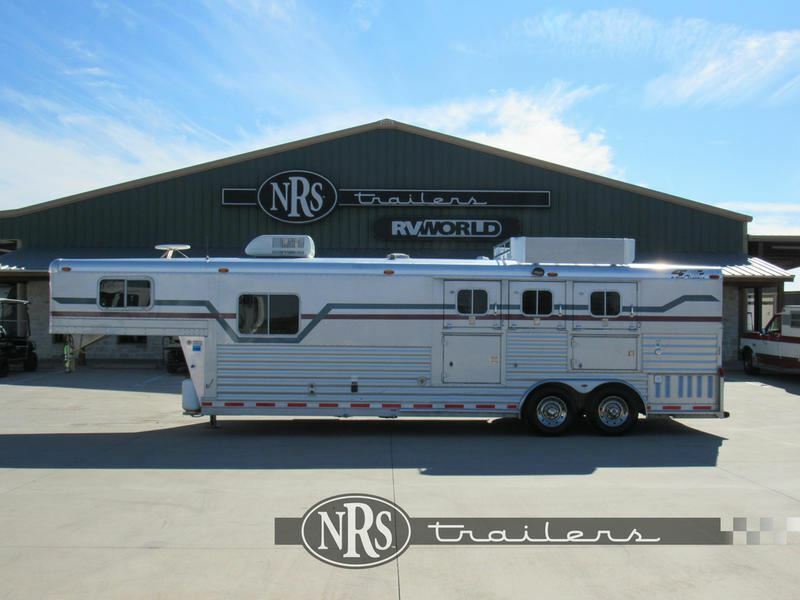 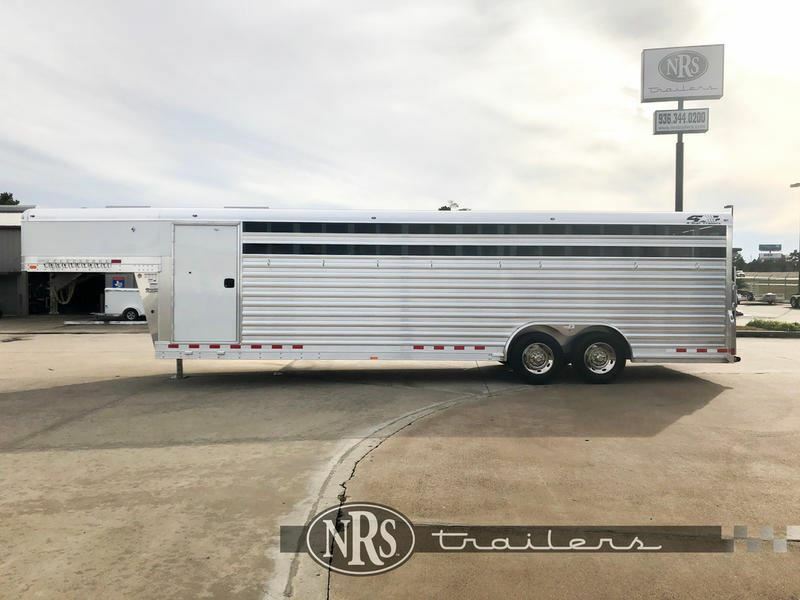 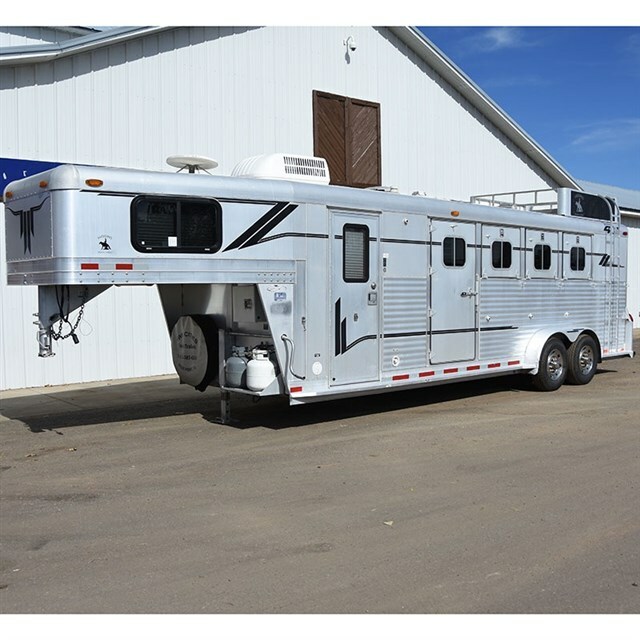 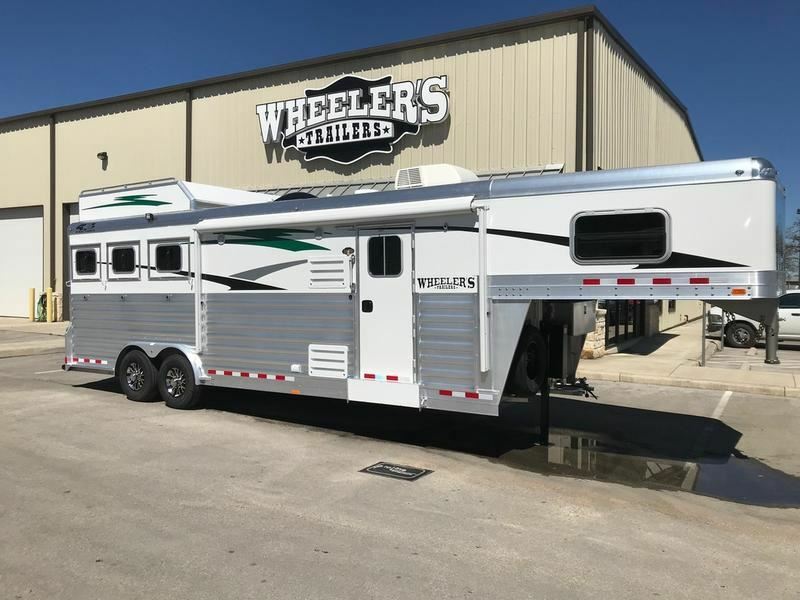 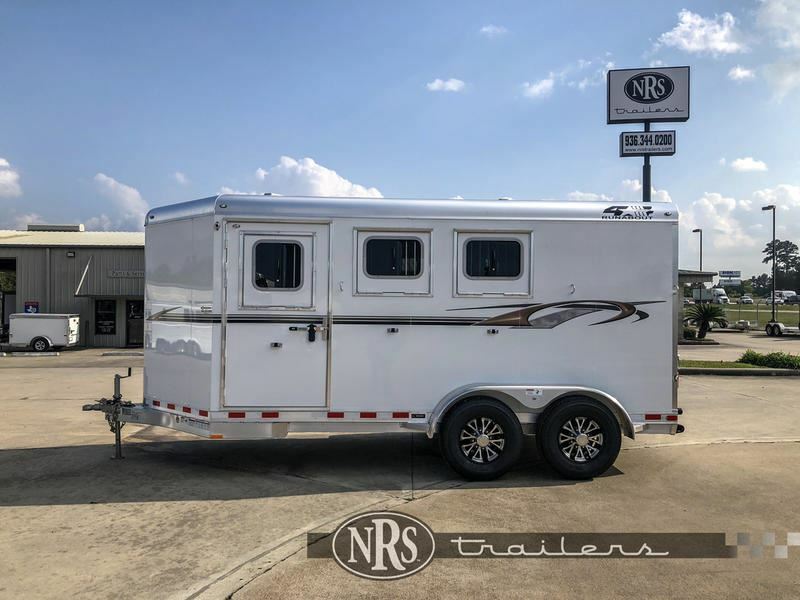 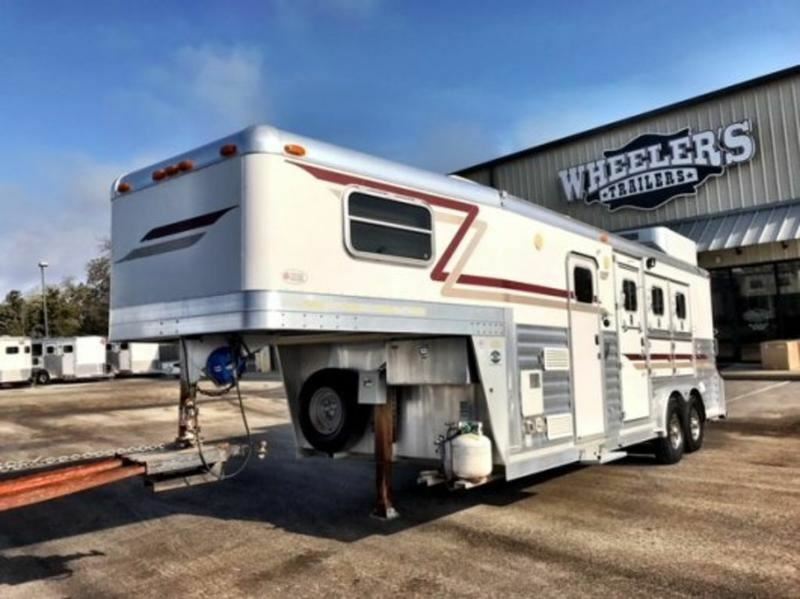 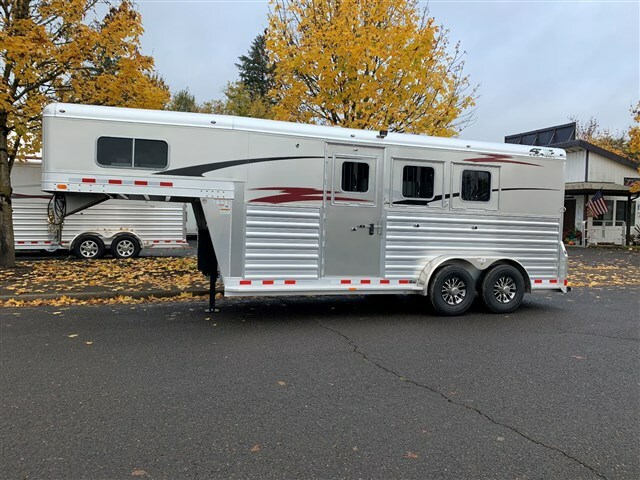 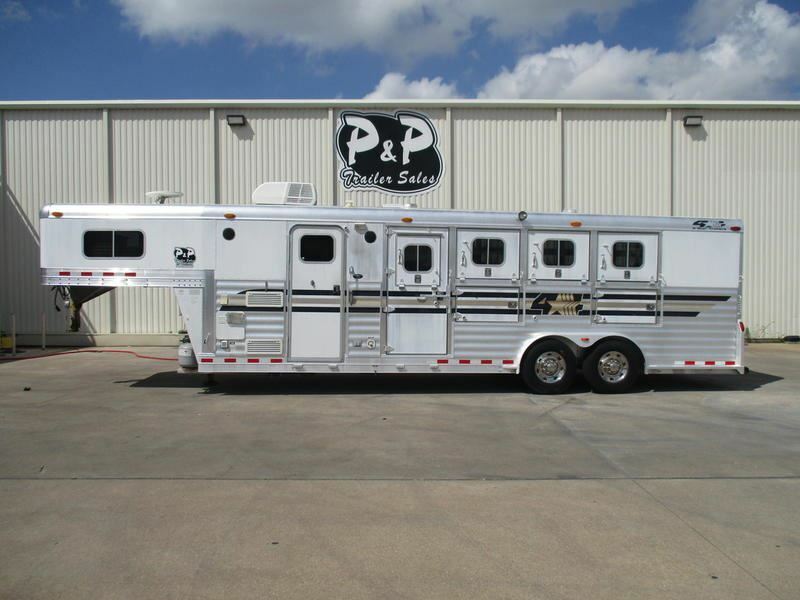 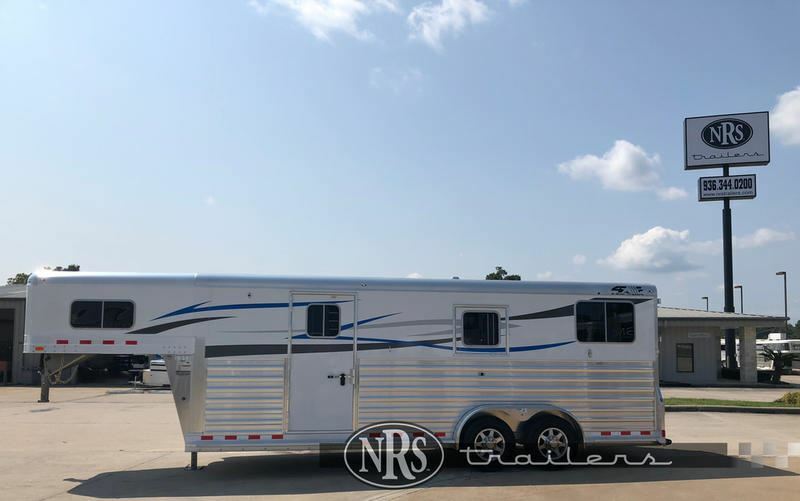 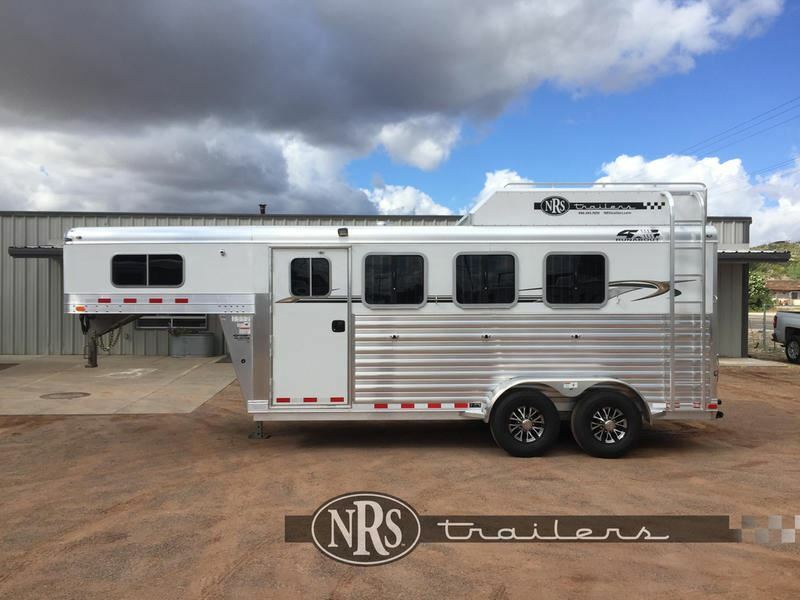 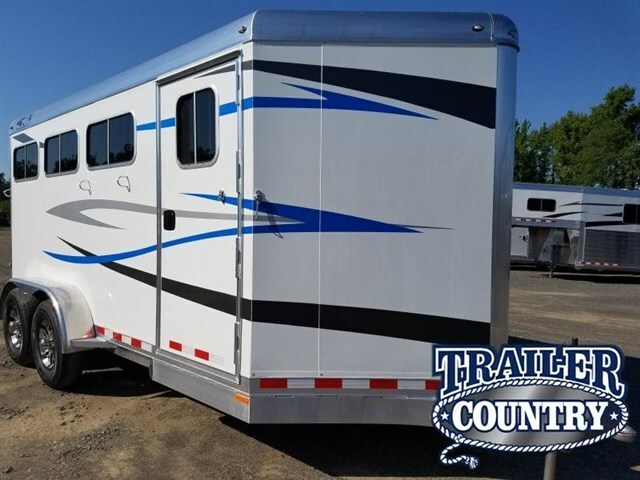 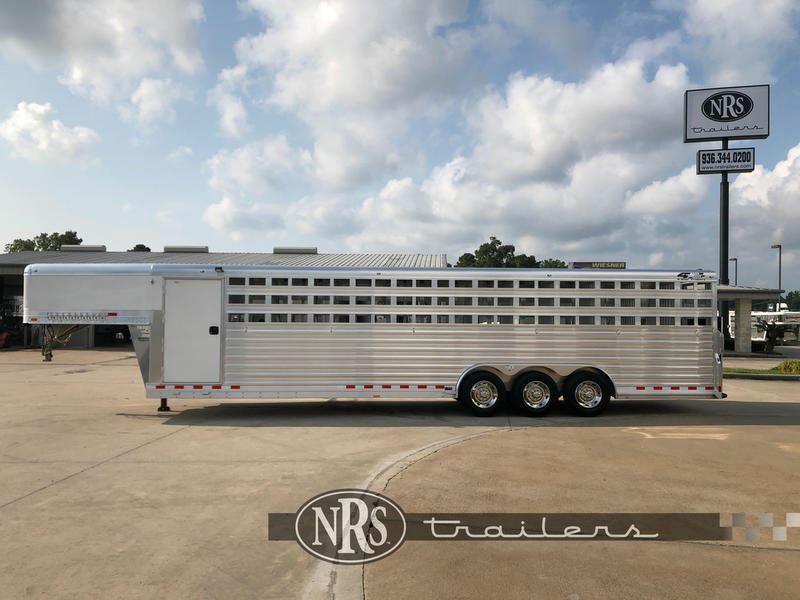 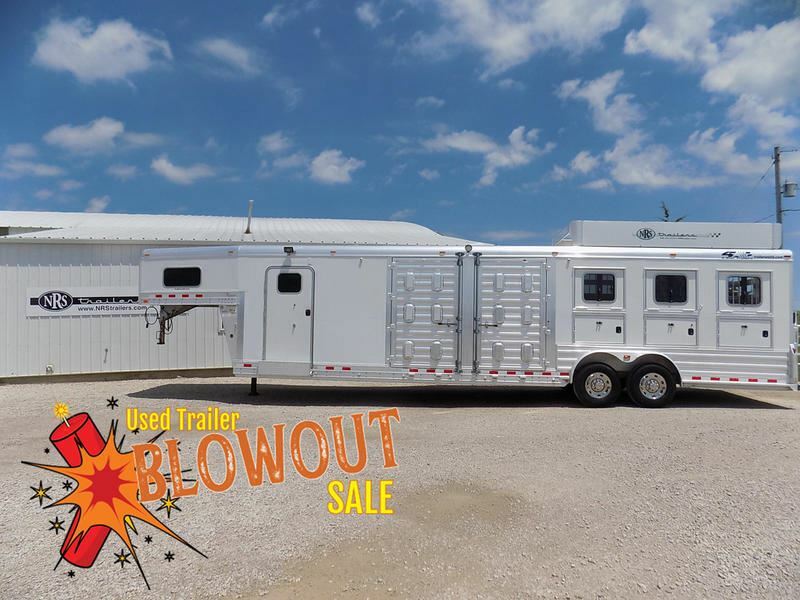 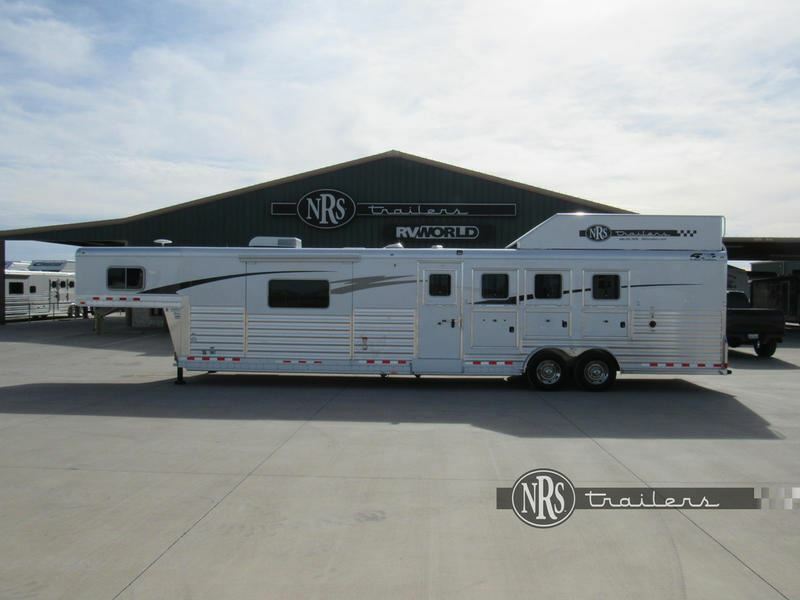 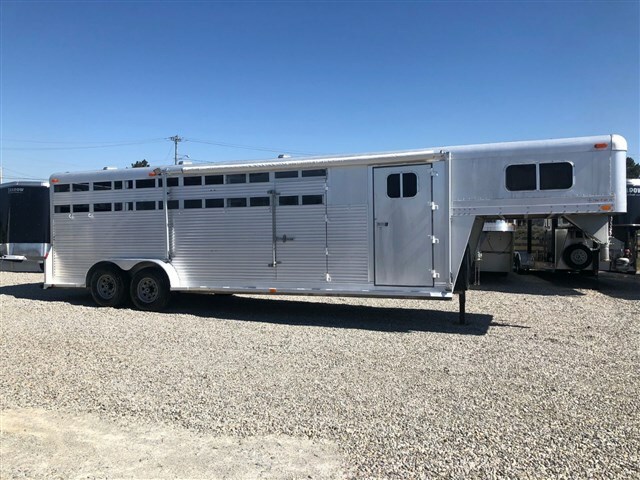 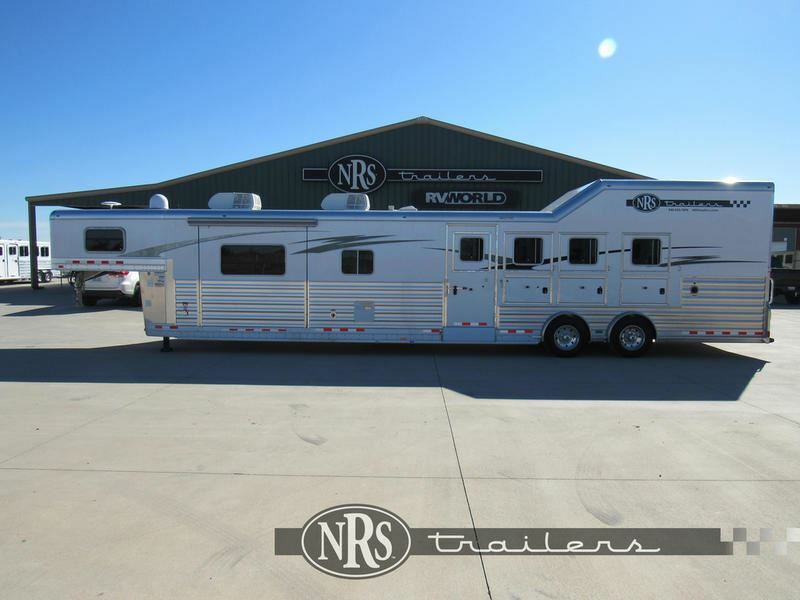 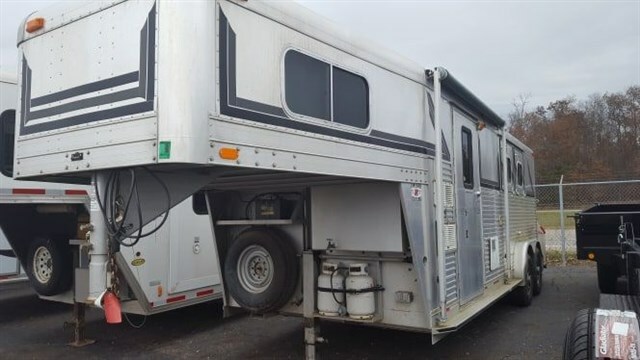 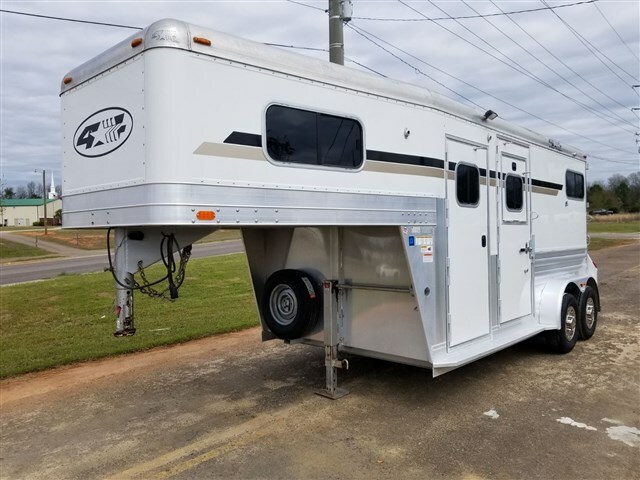 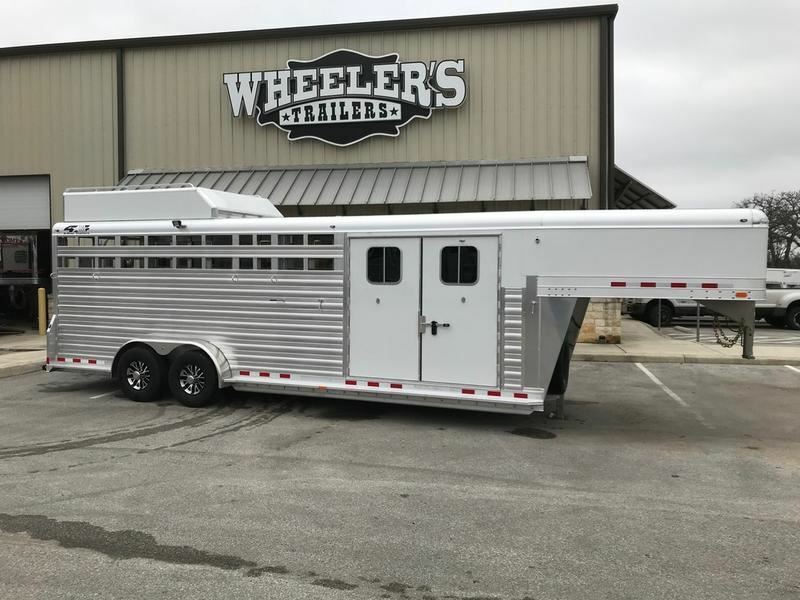 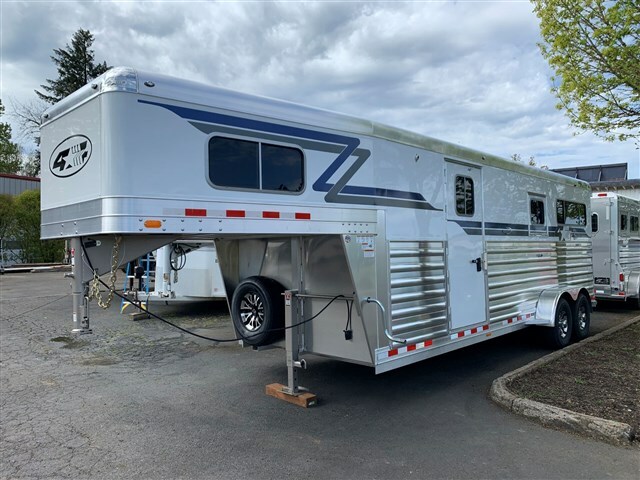 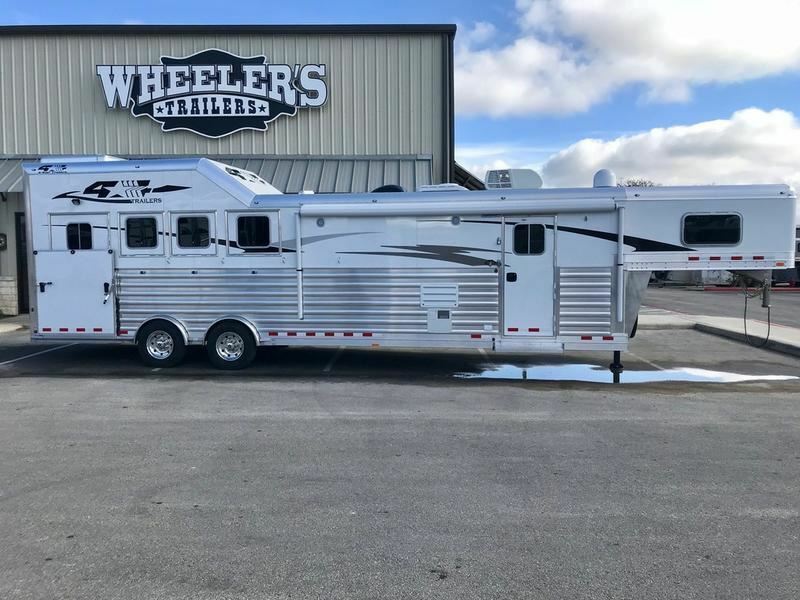 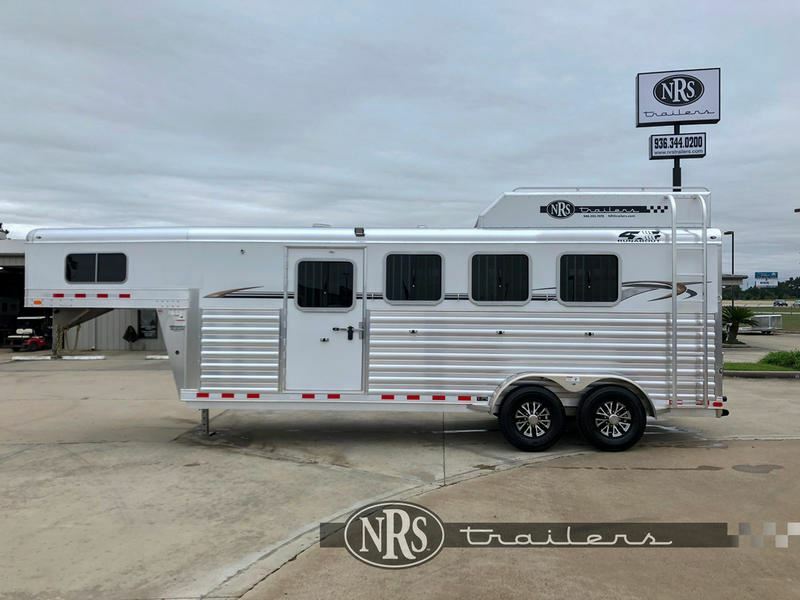 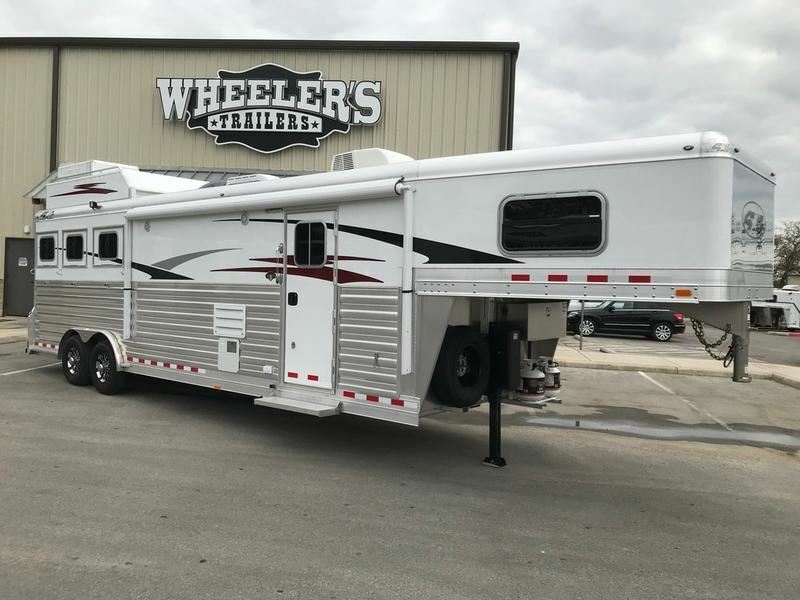 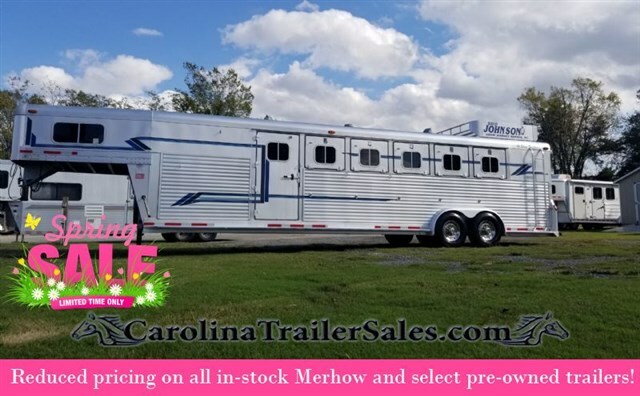 2019 3 horse 4 Star Larger dress area, slats, loaded with options! 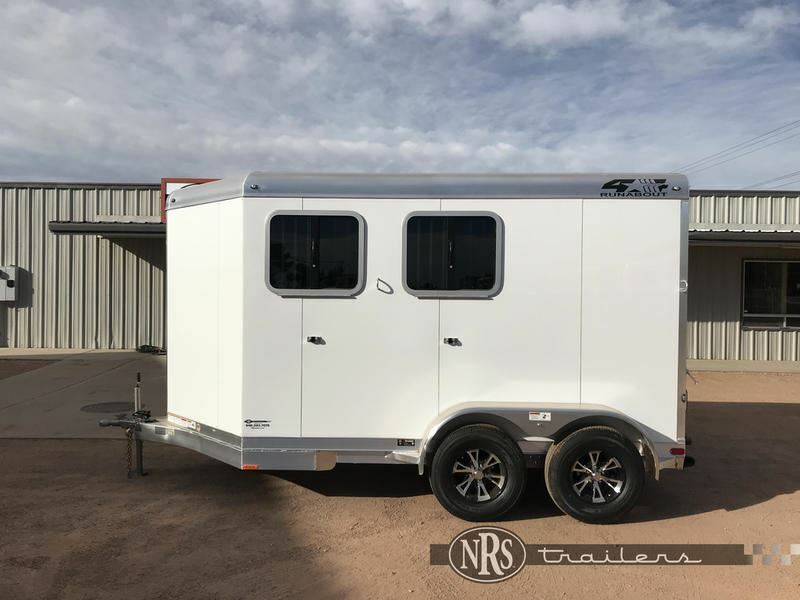 2019 2 horse 4 Star RUNABOUT 2 HORSE BUMPER PULL! 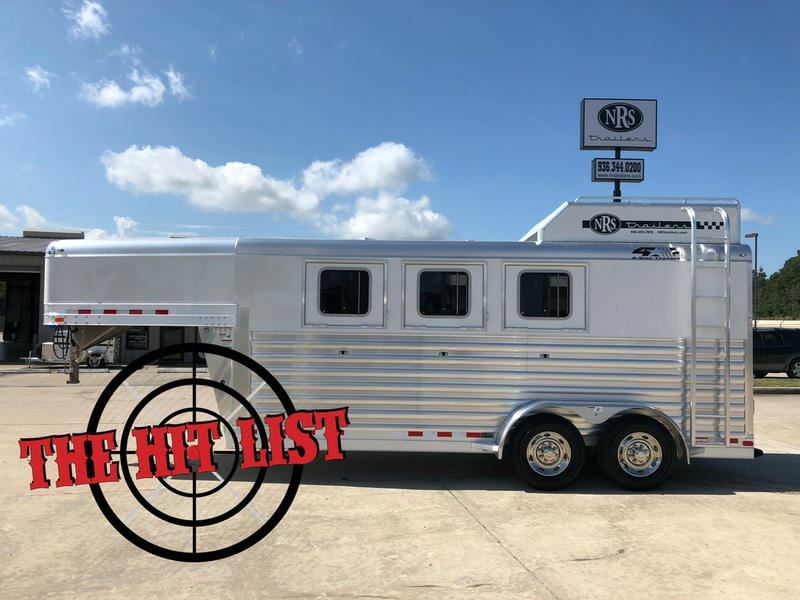 2019 2 + 1 horse 4 Star 2019 4 STAR RUNABOUT 2+1 W/ UPGRADES! 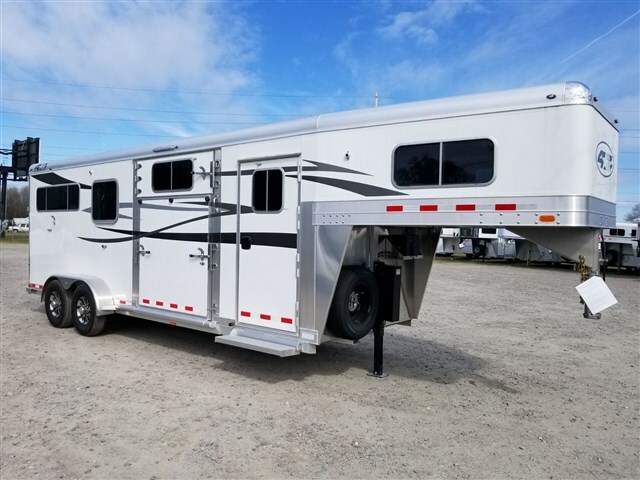 2019 horse 4Star 5-7 Horse - Adapts to your needs!! 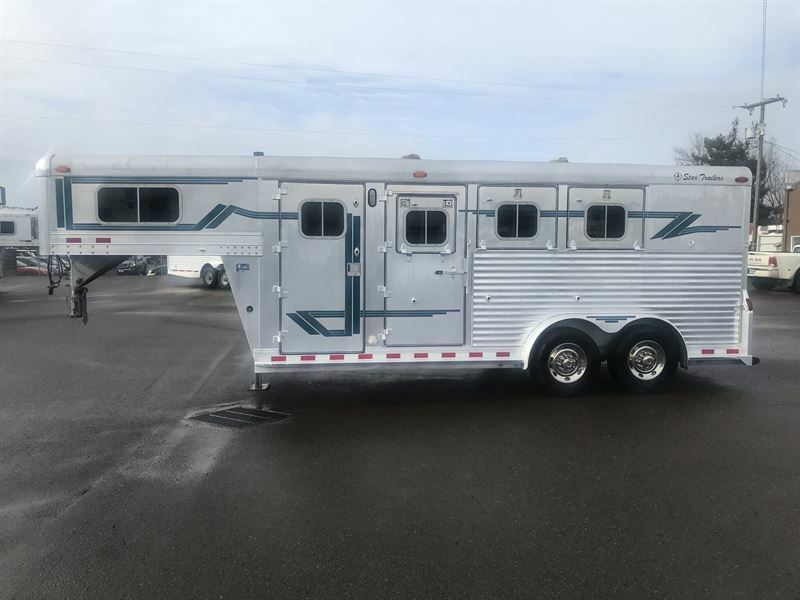 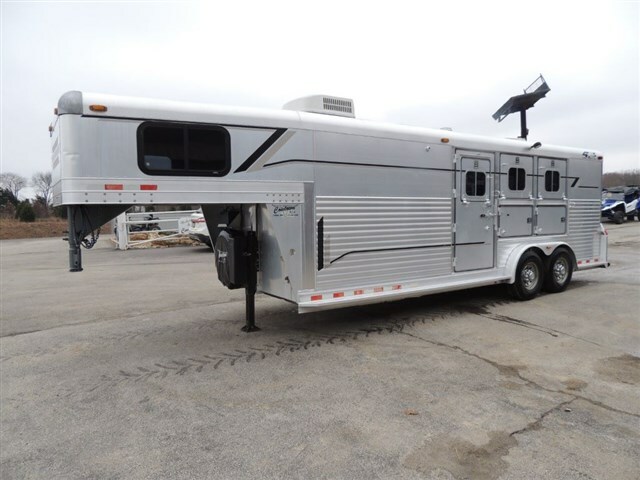 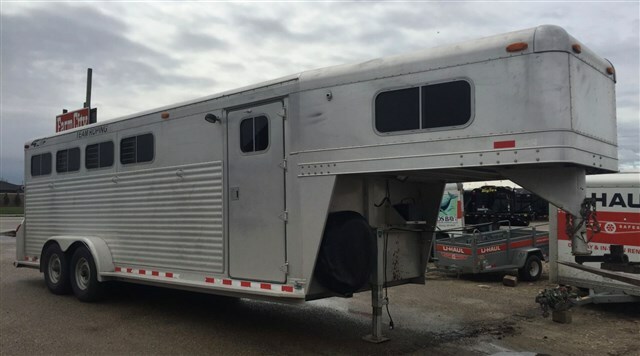 2018 6 horse 4star 6h stock w dividers, versatile and light! 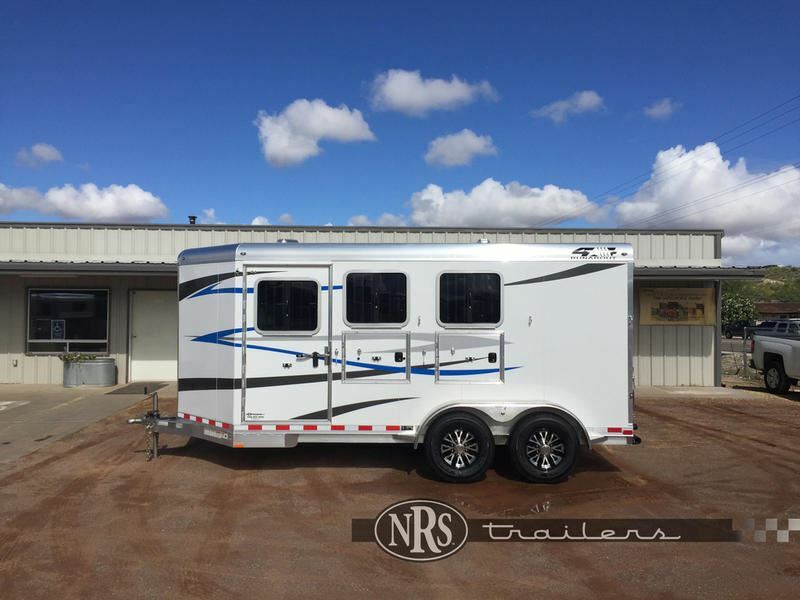 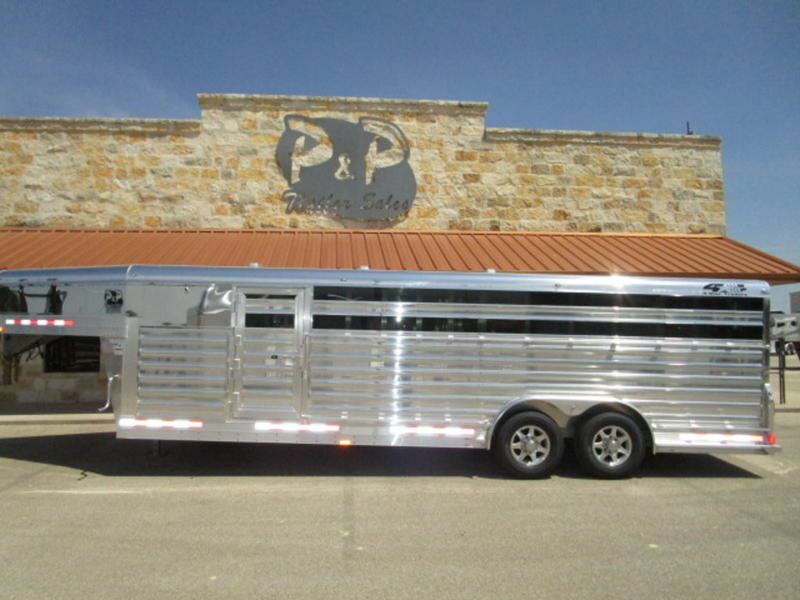 2016 Stock horse 4-Star 26' Show Stock V-NOSE! 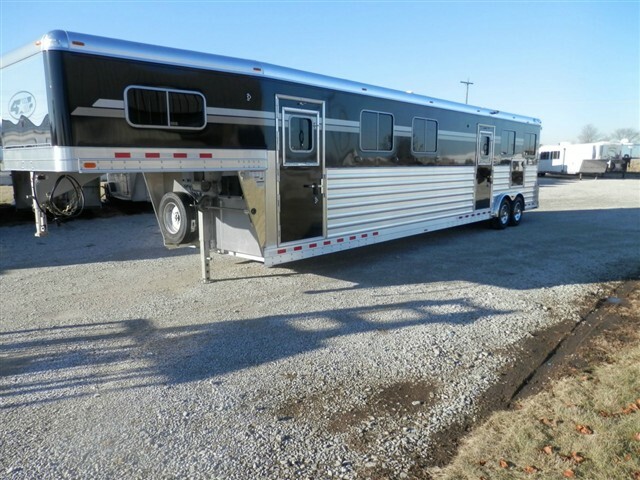 2006 4 horse 4 Star 4H 15' Trail Boss LQ, WERM Floor & Gen.
2005 4 horse 4star 4h 12’6” SW outlaw, clean! 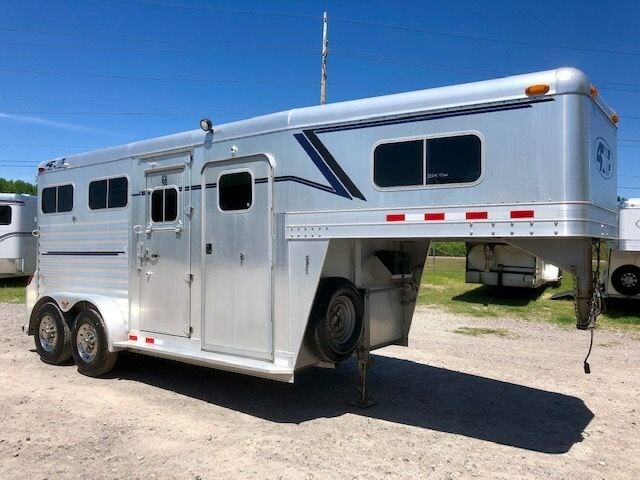 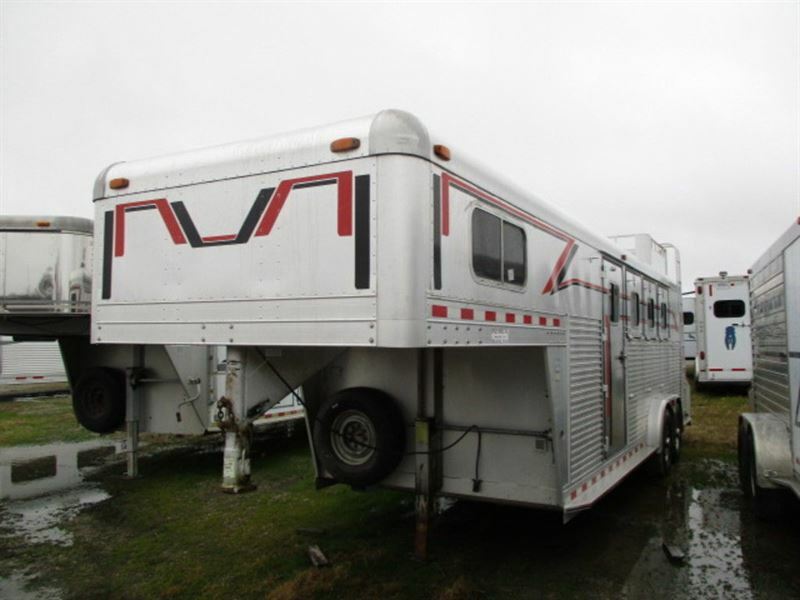 1997 4 horse 4 Star 4H Great Run Around Trailer! 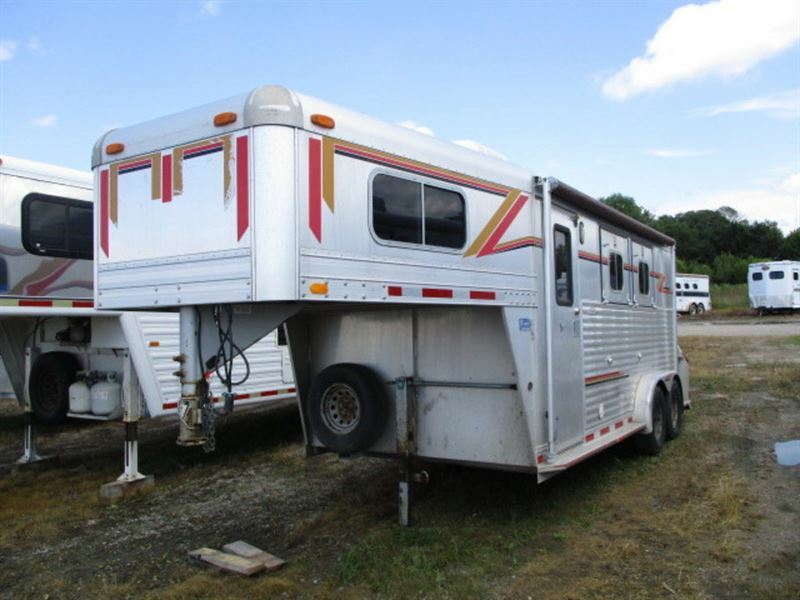 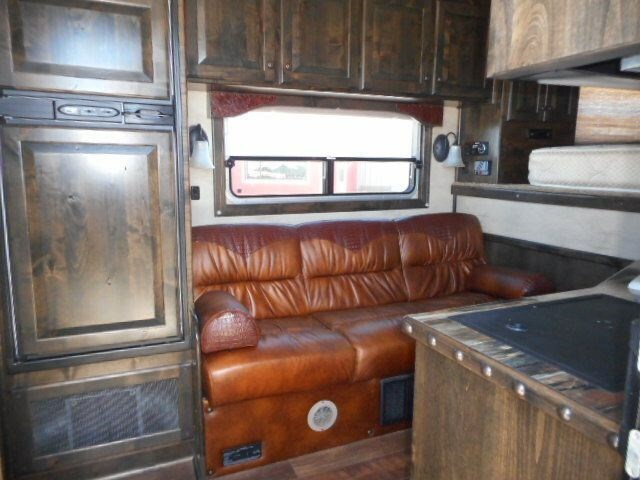 1995 3 horse 4 Star 3H Weekender, Cowboy Shower, Great Shape!